Chen scripts. 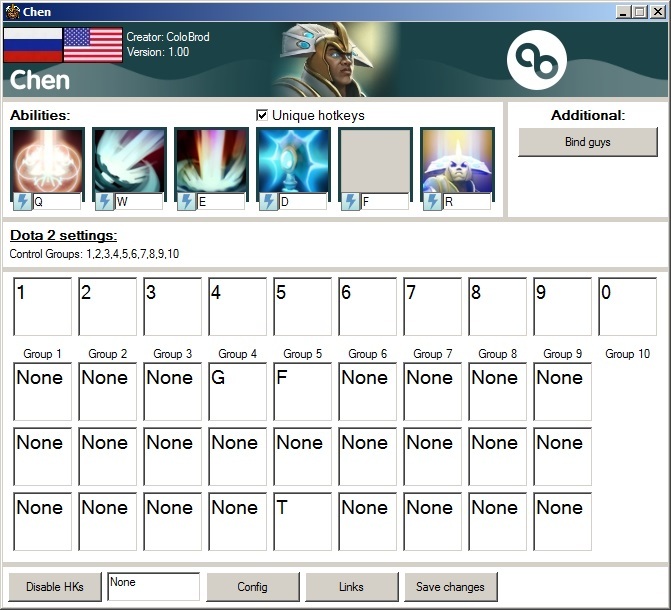 This program helps to control Chen's units. It allows you to control (use abilities) unit's abilities without selection them. ATTENTION: There's a necessity to make your Launcher's settings same with Dota 2 settings. You're to setup 10 control groups. By default they are numbers from 1 to 0.